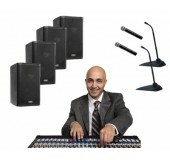 Avista carries a range of Public Address (PA) system rental packages for speaking engagements of any size. Our perfectly paired microphone and speaker combinations are easy to operate, and if you are doing it yourself, we show you how everything works, then back that up with our 24/7 help line. For larger meetings or when professional operation is required, Avista technicians are available to deliver, setup and operate your PA system rental. 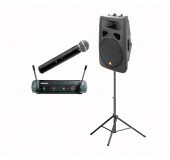 For speaking events up to 50 people where only one wireless handheld microphone is needed. 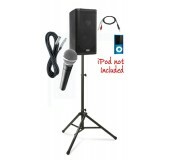 Public Address systems for any event up to 500 people. 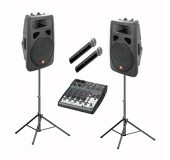 Several microphone and speaker options available.